Published on February 27, 2012 February 27, 2012 by cara.b.b. did you watch the oscars last night? my favorite moment was cirque du soleil – wow, wow, wow. also pretty fun was that a fraternity brother of jared’s won the oscar for best documentary – congrats to dan lindsay for undefeated! we have yet to see it, but have heard that it’s awesome. 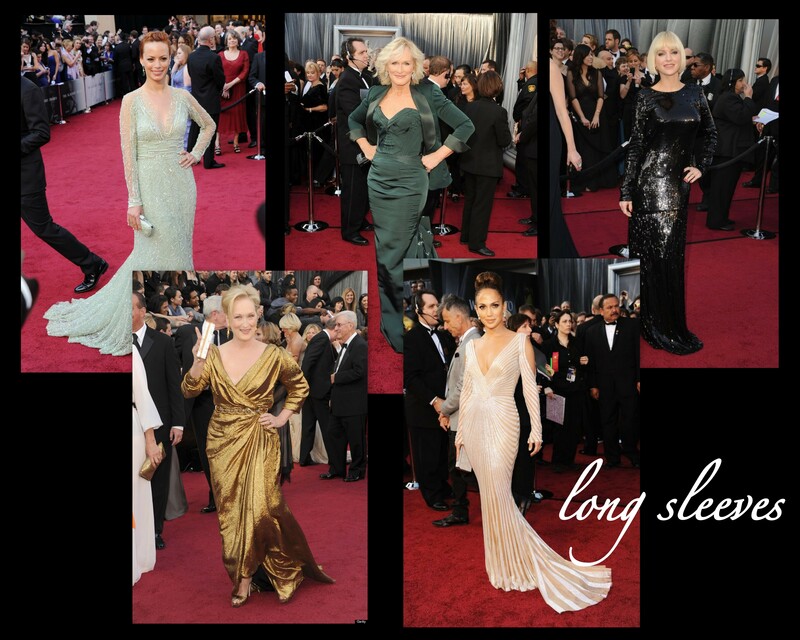 in seeing bits and pieces of the red carpet and most of the show, i noticed a few recurring trends. my nominees for best dressed are rose byrne, michelle williams, and milla jovovich – they were all classic and streamlined, but clearly ready for the oscars. did you have a favorite? My favorites were in black and white: Rose and Gwyneth (minus the cape). Plus I’m still swooning over Rose’s hair! agree about gwyneth’s dress sans cape. i did not love the extra layer.